TUGboat, Volume 34 (2013), No. 3. Recently I at last found a book sold in bookstores and devoted to LaTeX typesetting of the Chinese language. 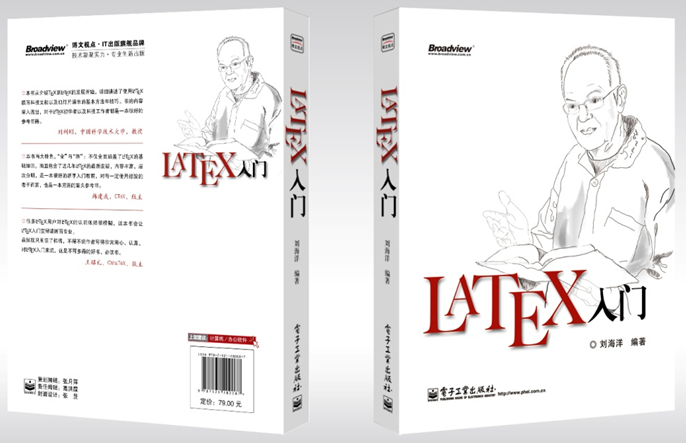 The book covers every aspect of LaTeX interesting to Chinese (and most) users: float objects, tables, mathematical formulae, beamer presentations. Moreover, at the end of the book there is a short course of programming in LaTeX and plain TeX for the benefit of those readers who want to write their own macros. With many detailed examples, I feel the book should be recommended both to LaTeX beginners and more experienced users wanting to typeset Chinese. This book recommends using the XeTeX package xeCJK to typeset Chinese. In the world of multilingual documents, XeTeX has become a very popular and convenient TeX engine. The package works very well with both Chinese and (with zxjafbfont ) Japanese. As far as I know, xeCJK is the best implementation of Chinese typography. The author, Leo Liu, is a resident expert of the largest Chinese TeX forum CTeX . He is the maintainer of xeCJK and zhmCJK . Werner Lemberg, cjk—CJK language support, 2012. http://ctan.org/pkg/cjk. Jiang Jiang, Qing Lee, Leo Liu and Wenchang Sun, xecjk—Support for CJK documents in X E LaTeX, 2013. http://ctan.org/pkg/xecjk. Hironori Kitagawa, luatexja—Typeset Japanese with Lua(LA )TeX, 2013. http://ctan.org/pkg/luatexja. Leo Liu, zhmcjk—Simplify configuration of CJK installations, 2012. http://ctan.org/pkg/zhmcjk. Takayuki Yato, zxjafbfont—Fallback CJK font support for xeCJK, 2012. http://ctan.org/pkg/zxjafbfont.